New Hampshire schools are all training staff in key areas of school law. Are you wondering how best to accomplish this requirement? 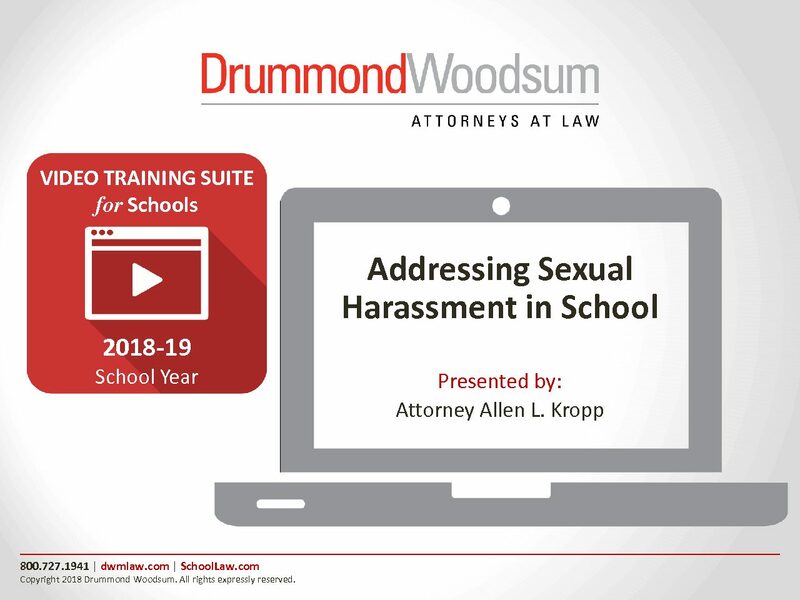 Drummond Woodsum has created a Staff Training Video Suite designed to satisfy the training mandate in a user-friendly and economical way. Subscribers will be able to view each of the five videos on an unlimited basis during the 2018-2019 school year, after which time the videos will be updated and re-issued for another year by subscription. All your training requirements taken care of in one convenient place! Purchase this individual training video here for $290. BEST VALUE: Purchase the entire suite of five training videos (average length is 30 – 40 minutes) and receive a 30% discount over the cost of the individual videos ($805). Purchasers of last year's video suite will receive a discounted renewal of updated and re-recorded videos of $549.